What does it mean to stay “united,” or as some translations of the text say, “abide” in Him? The word that the text is using here is μένω menō. Phonetically, like minnow but with “men” instead of “min” – mennow. This is an important word in the text – an important word to understand in the text. In classical Greek the verb menō means “to remain” in a place, “to stay,” or “to tarry.” It also frequently carries the metaphoric meaning of being in a “sphere” or quality of life. Thoralf Gilbrant, ed., “3176. μένω,” in The Complete Biblical Library Greek-English Dictionary – Lambda-Omicron, (Springfield, MO: Complete Biblical Library, 1991), WORDsearch CROSS e-book, Under: “3176. Î¼á½³Î½Ï‰”. It is important to understand how the word was used in the Greek outside of the text. To remain means to have already been there. To stay means to have already been there. To tarry means to have already been there. To remain, to stay, to tarry means you are continuing to be where you already are . . . In the Septuagint menō has basically the same meaning as in classical Greek. קוּם qûm (7251), Stand (Nm 30:5, Prov 19:21, Isa 32:8). עָמַד ‘āmadh (6198), Endure, stand (Ps 111:3 [110:3], Isa 46:7); be unchanged (Lv 13:5). In the Septuagint menō is also significant in reference to God and to people and things relating to God. God is the abiding one. He is distinct from our changing world because of His characteristic of immutability. To say that God is immutable does not mean, as in Greek philosophy, that God cannot be moved (e.g., by prayer) or is static; instead, immutability denotes God’s steadfastness to His people. The eternalness of God’s Word and His love expresses the never-ending quality of our relationship with Him. and the new heavens and new earth He is going to create will endure before Him (Isaiah 66:22). menō refers to the same concept of the immutability of God, the things of God, and the sphere of God. The Theological Dictionary of the New Testament and the Louw & Nida NT Greek-English Lexicon both say essentially the same things concerning μένω menō and its cognates: stay, persevere, remain, endure, stay on, stand fast, wait. only one conclusion can be drawn: they are already united with him. However, there is one caveat. They (the disciples) are “united” and will remain “united” provided that they continue to meet the criteria. . . The following verses use if/then logic – in other words, this is dynamic – NOT STATIC! so stay in my love. — just as I have kept my Father’s commands and stay in his love. You are my friends IF . . . IF is a big word. I know this is hard to accept if you come at the text from with the theological supposition (theory, dogma, doctrine) of Perseverance of the Saints (Eternal Security or as it is affectionately known to some: Once Saved Always Saved) point of view. This is a defining moment in your understanding of the text . . .
Make no mistake, your acceptance of one or the other, regardless of which one you chose, negates the other. You are accepting one or the other in contradistinction to the other because the two teachings are NOT compatible. One is static (Calvin) and one is dynamic (Yeshua). One is a lie and one is the truth. As harsh as that may sound, you must realize that this all parallels the fall. God told Adam and Eve not to eat the fruit, and that if they did, they would die. The serpent told Eve that she would NOT die if she ate the fruit – that God was a liar. When we pick the lie over the truth, when we rationalize that the lie is better than the TRUTH or preferable to it, death is imminent. We are warned in the text that this has happened, is happening, and will happen. Nothing new under the sun . . . Passions or Truth? 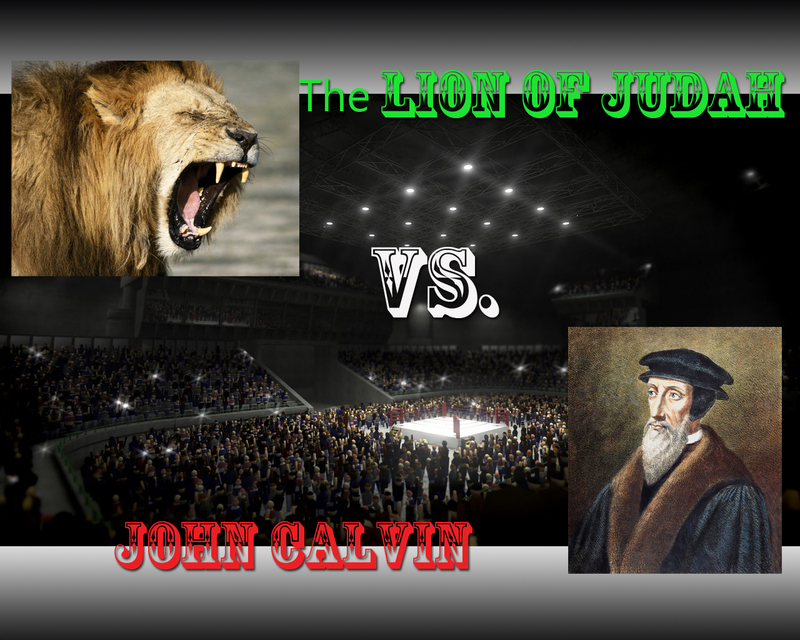 Calvin or Yeshua? I know for many of you, this is a hard teaching. It flies in the face of what you believe to be true. To pick one is to deny the other. It is my prayer and hope that you are able to take off your theological glasses for a moment and consider: Consider the words of our Creator and the implications of those words in earnest prayer and submission to that Creator. If you want to read more in depth about Adam and Eve believing the lie over the truth, you can do so here: The ORIGINAL Sin?!? Part 1 in a series . . . If you want to read more in depth about Theological Supposition, you can read the first half of this post: Judaizer!?! This entry was posted in Word Studies and tagged abide, calvin. Bookmark the permalink. 4 Responses to Once saved, NOT always saved . . .
Nice word study on abide/remain. Stern’s CJB translation brings clarity that others do not. I agree . . . Thanks for the encouragement! He is distinct from our changing world because of His characteristic of immutability……one of the things in this writing that smacked me in the face. ■Eve believed the lie over the truth…■Adam believed the lie over the truth..■Man fell………..says it all pretty much, but the “lie” is why it’s so difficult or maybe uncomfortable to accept the truth.